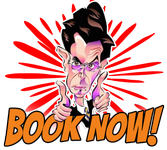 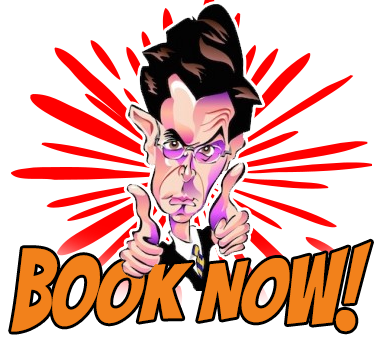 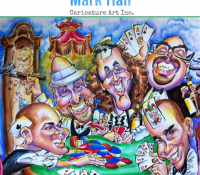 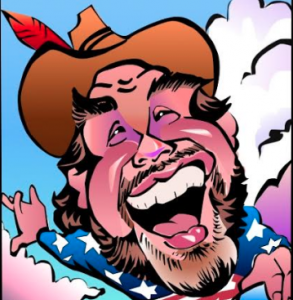 Get a unique caricature by Mark Hall to capture your personalities and your special moment. 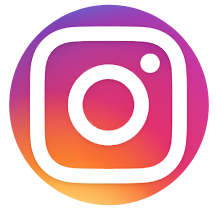 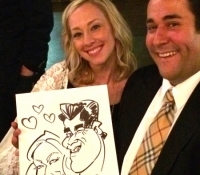 Everyone loves to snap photos at big celebrations, but these pictures can get lost in your files as quickly as they were posted to social media. 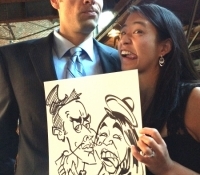 Professional wedding photos are often so similar to those of other couples because the same stiff poses are used over and over again. 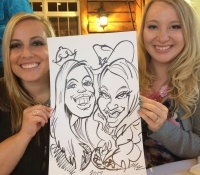 They, unfortunately, can lack the distinction that such a wonderful occasion deserves. 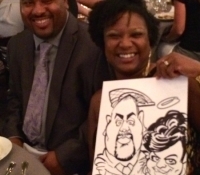 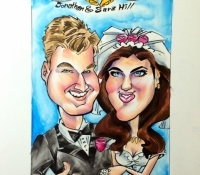 As a wedding and reception caricature artist for hire in Denver, CO, Mark Hall that will give you and your guests amazing caricature drawings that everyone can take home and treasure. 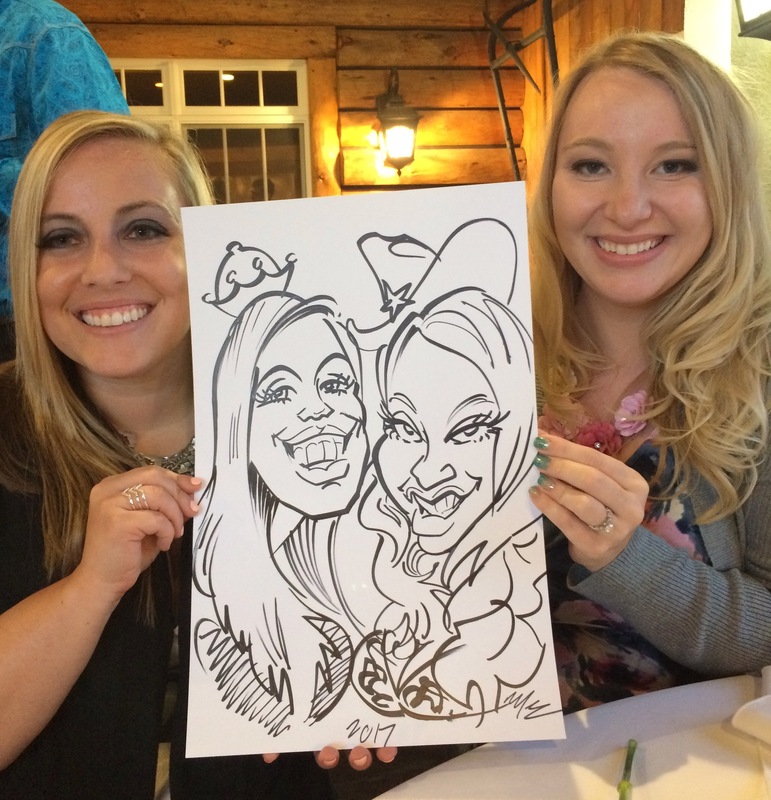 A caricature is not like other photos you have on your phone or that you have posted online. 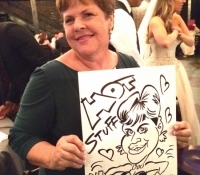 Your caricature drawing will be an artistic rendering that is unique to you and completed in-person by one of our professional artists at your wedding reception. 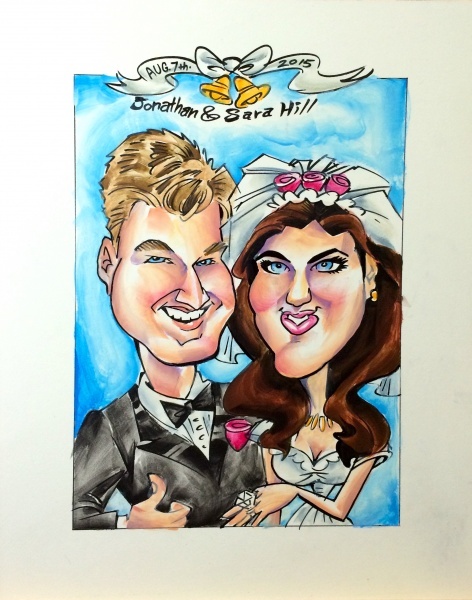 Unlike a photo, your caricature portrait will represent you both physically, as well as who you are inside, showcasing your style and personality. 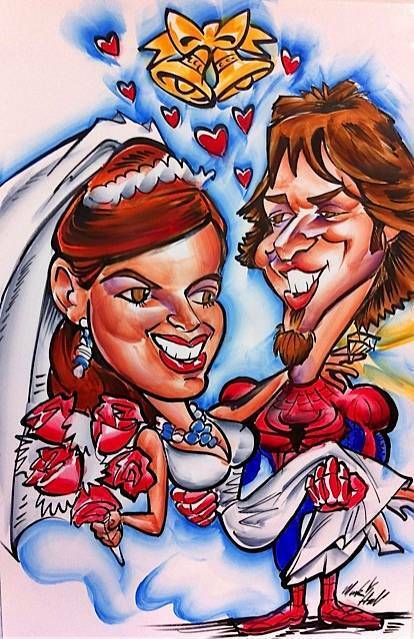 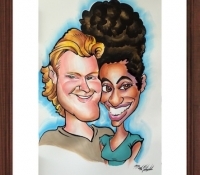 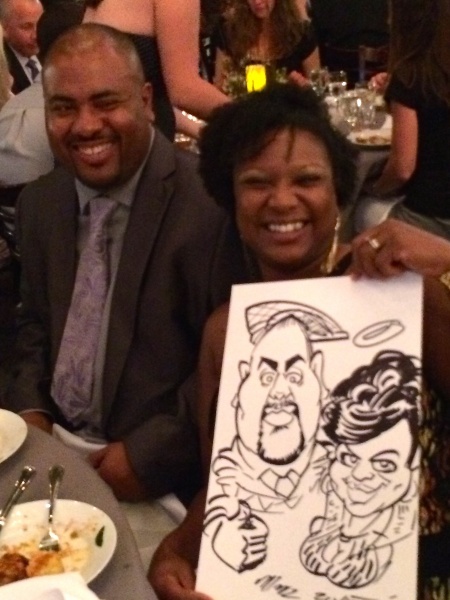 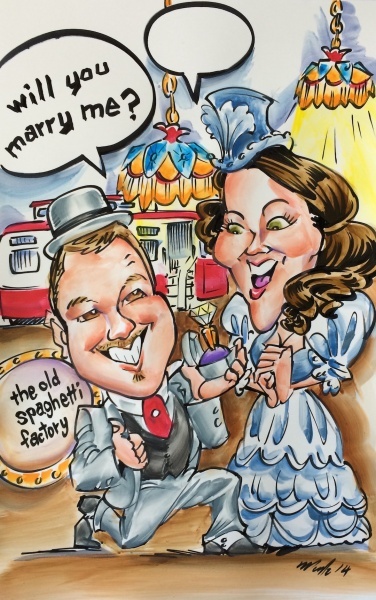 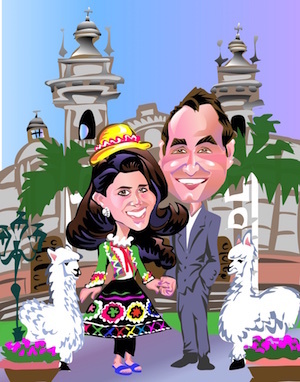 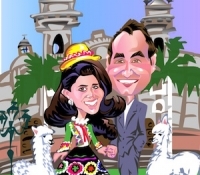 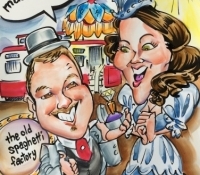 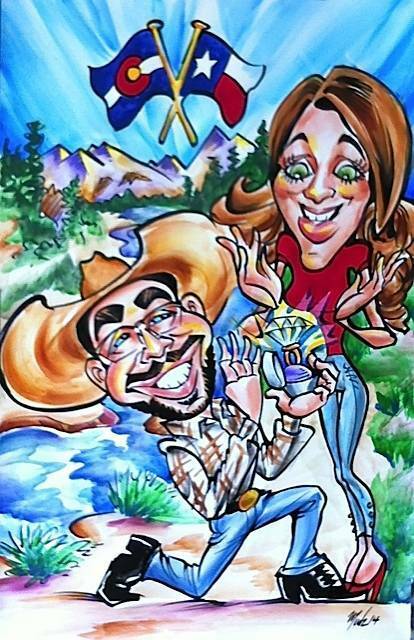 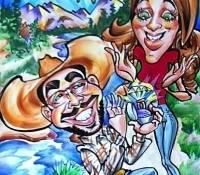 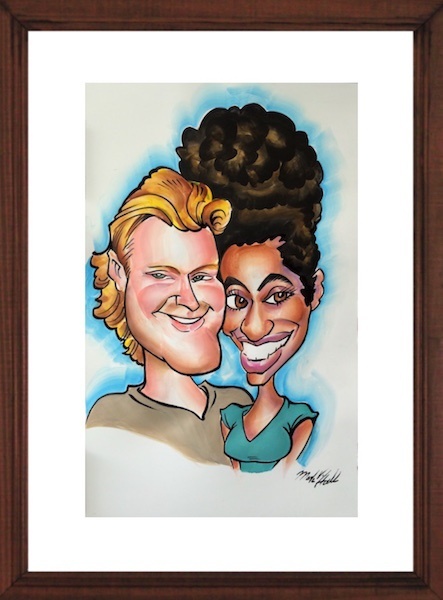 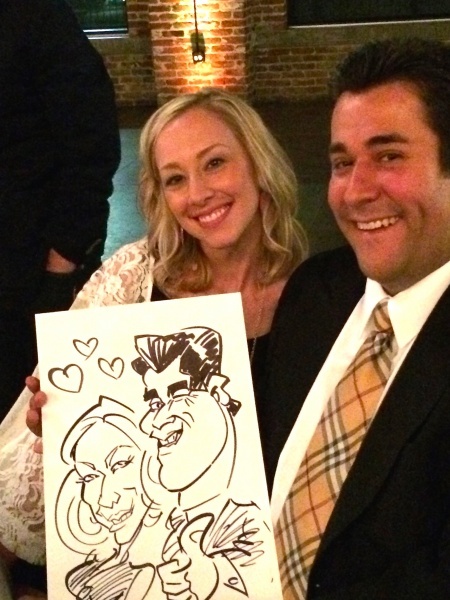 A caricature is the perfect gift for the new couple and is also great entertainment for guests of all ages. 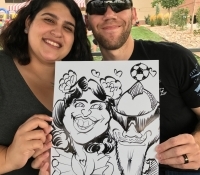 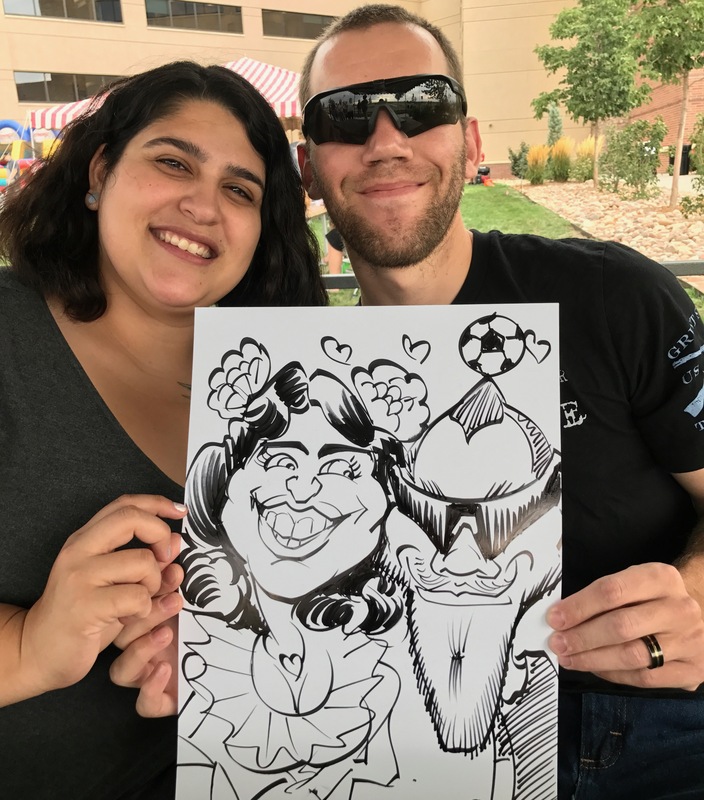 Browse the previous caricature portraits and group pictures to see more and contact us at 720-312-1220 to add a caricature artist to your wedding and reception. 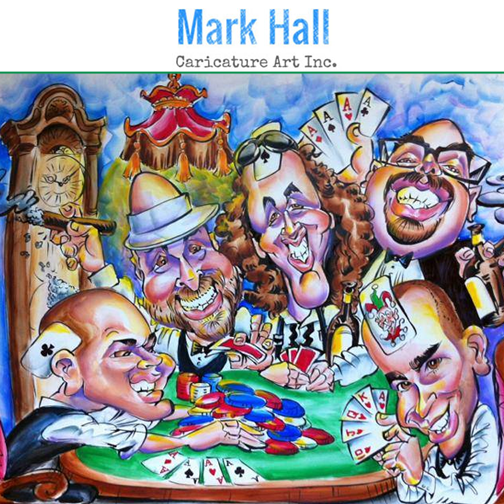 Mark will provide an interactive caricature portrait experience while strolling and interacting with your guests.Make your cocktail hour fun and memorable by providing your wedding guests with complimentary caricatures by artist Mark Hall! 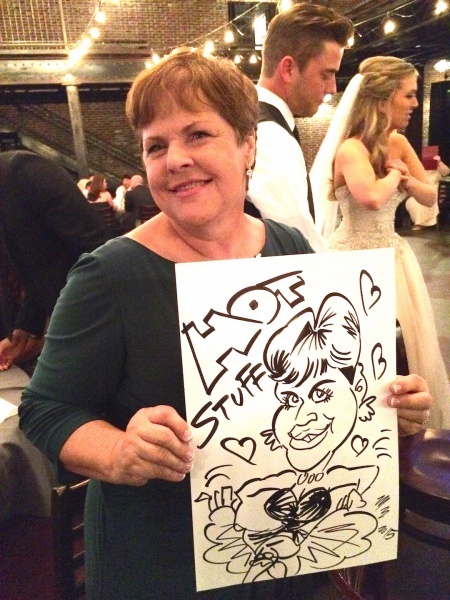 Makes a great wedding party gift and keepsake! 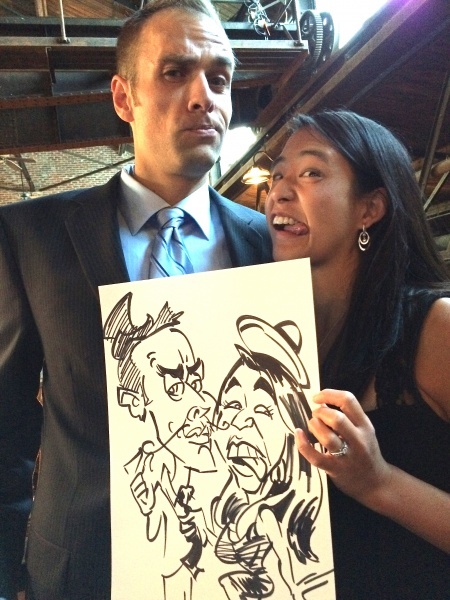 Caricatures from your favorite wedding photos!